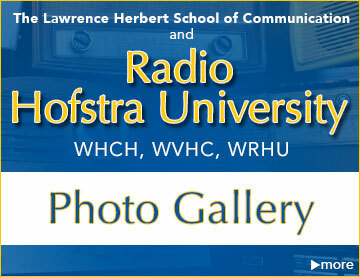 Mike Francesa Broadcasts His WFAN Show Live From WRHU! 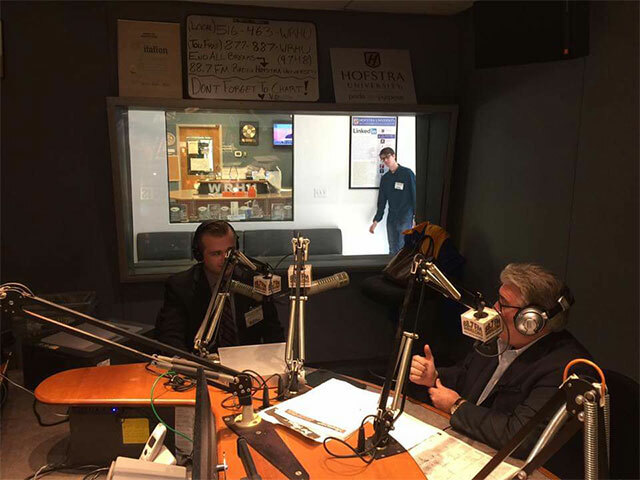 Radio Hofstra University was honored to have iconic sports talk air talent Mike Francesa broadcast his entire six and a half hour WFAN radio show live from the studios of WRHU. 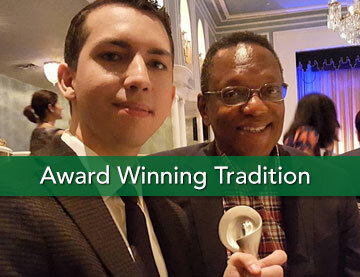 Students were able to meet and learn from Mike. 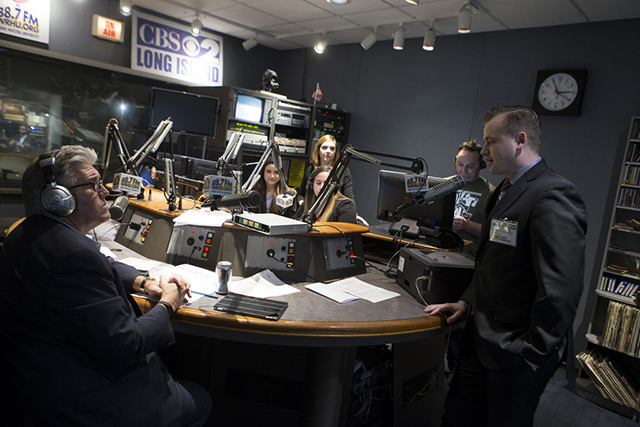 Students set up and engineered this historic broadcast and were also interviewed on-air by Mike. 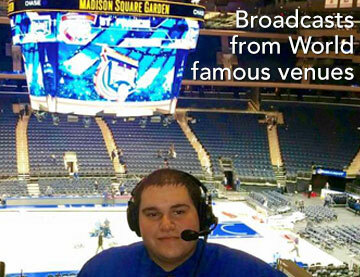 One student, Chris Buckley, was given the opportunity to do a live 20/20 sports update on WFAN sports radio NYC from our studios! 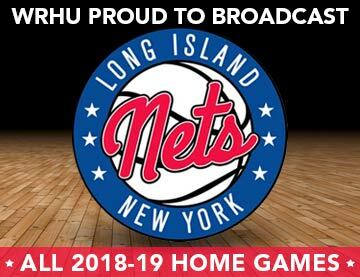 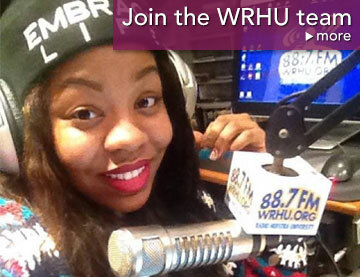 It's events like this that give Hofstra WRHU student staff members an edge. 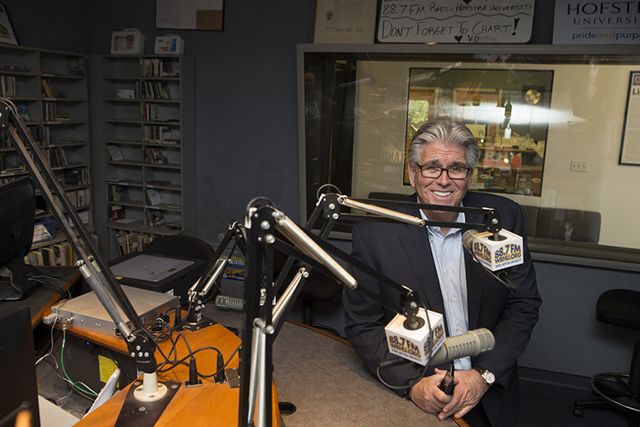 Mike Francesa broadcasting live on WFAN NY from WRHU studio south. 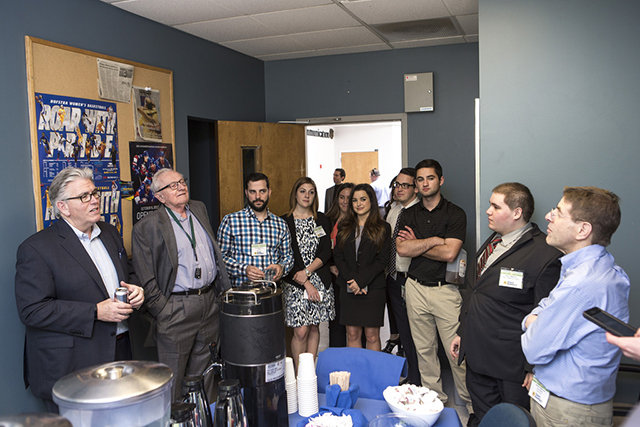 Left to right: Mike Francesa, operating the audio console WRHU student sportscasters Diana Albanese, Tiffany Vellis, Steph Ruscio, standing WFAN's Brian Monzo, WRHU student sportscaster Chris Buckley. 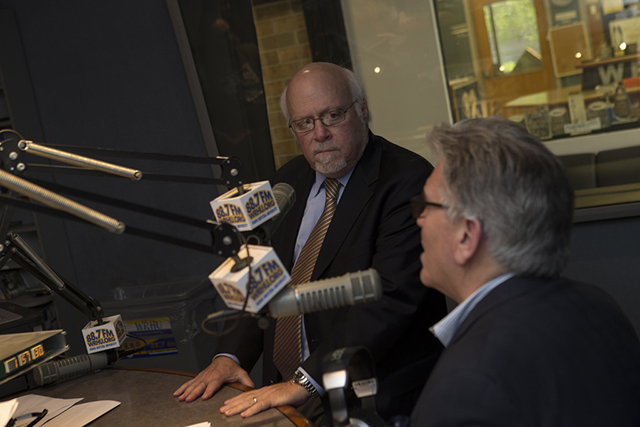 Hofstra President Stuart Rabinowitz being interviewed over the WFAN airwaves by Mike Francesa. 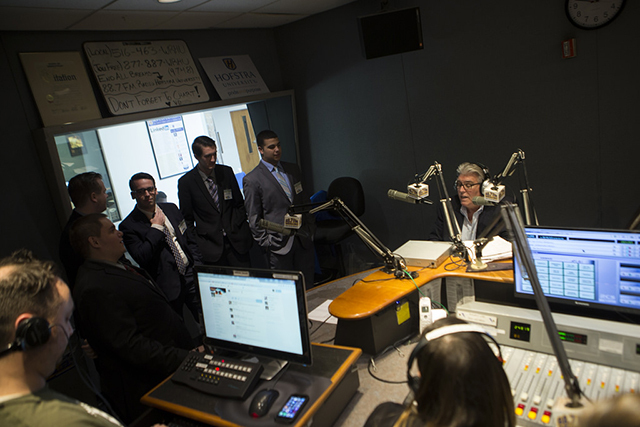 Radio Hofstra University student sportscasters watching and learning from Mike Francesa as he does his daily radio show live on WFAN from WRHU studio south. 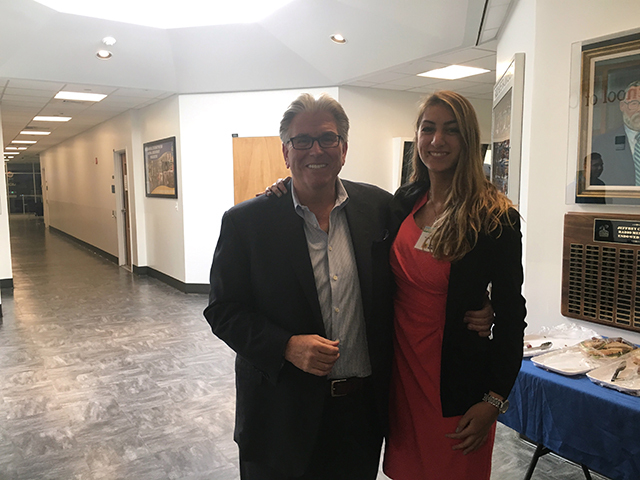 Mike Francesa inspiring WRHU student staff at a pre-broadcast meeting in the Radio Hofstra University conference room. 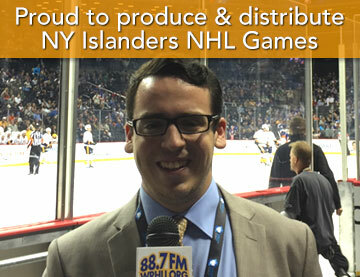 WRHU student Sports Director Connor Giblin interviewed on-air by Mike Francesa. 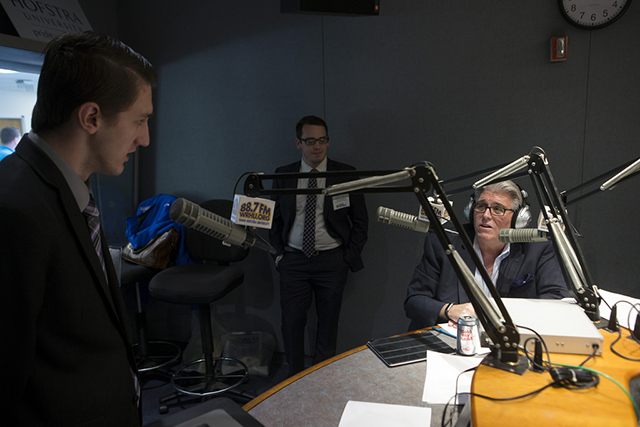 WFAN sports radio host Mike Francesa in WRHU studio south where Hofstra students produced over 470 NY Islanders live NHL game broadcasts distributed to outlets including: WFAN NY, WCBS 880 NY, WNYE FM NY, WRCN FM Long Island, Sirius / XM, WRHU FM, and various NHL web outlets. 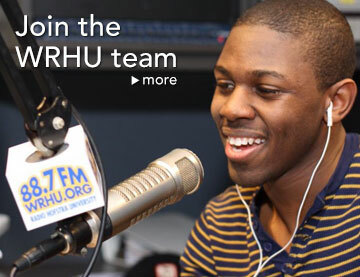 Student sportscaster Chris Buckley in WRHU studio south broadcasting a live 20/20 sports update over the airwaves of WFAN.